Ivy Coach has a crystal ball that can predict one’s chances of admission to Ivy League and other highly selective colleges. Predicting Ivy League admission is quite easy for us at Ivy Coach. Are we always right? No. Are we usually right? You bet. After all, we’ve been working in highly selective college admissions for many years. We have a good sense of who is going to get into Harvard, who is going to get deferred Early Decision at Dartmouth, who is going to get into Princeton, and who doesn’t have the wildest chance of ever getting into Yale. 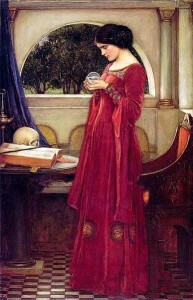 We like to say that we have a crystal ball that can foresee your college admissions fate. In fact, Dartmouth’s newspaper, “The Dartmouth,” has even written about our famous crystal ball. So when parents say something along these lines to us, we reference our crystal ball as it’s the best way that we know how to convey to them what we think: “I want my son to apply Early Decision to Penn. I know it’s an extreme reach for him but I don’t want him wondering his whole life if he could have gotten in. His best shot of getting into Penn is to apply Early Decision so we might as well have him apply and roll the dice. Right?” Wrong, wrong, wrong. 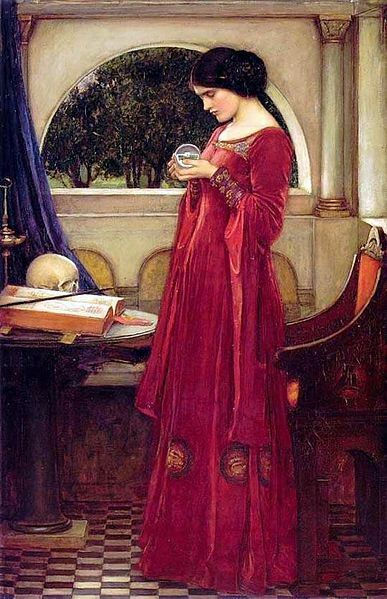 And as for the woman in the painting to the right, she is not an employee of Ivy Coach but she’s got a crystal ball just like us! And that’s some gown!